Three states. Four years. A few handfuls of fish seen and some fewer caught. 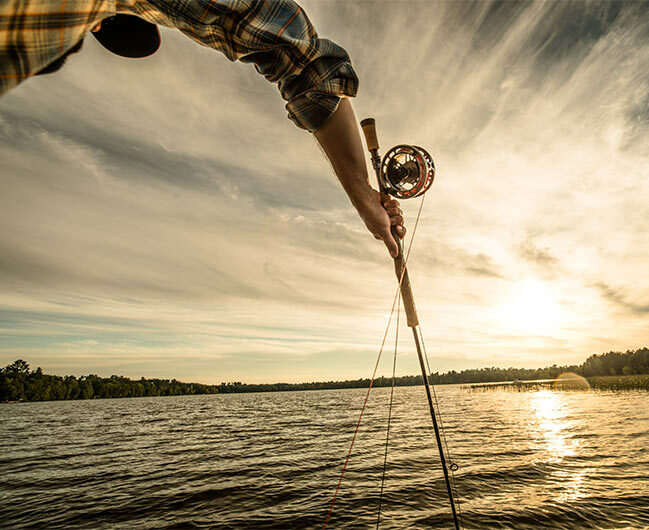 Chasing the muskies of the Northwoods has taught me patience, perseverance, and the conviction that some types of madness are very much worth it. 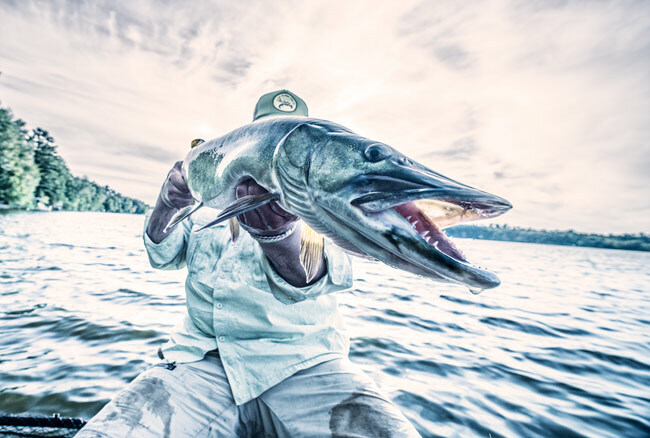 Perhaps nothing else belies the difficulty of catching a musky as much as a photograph of one. 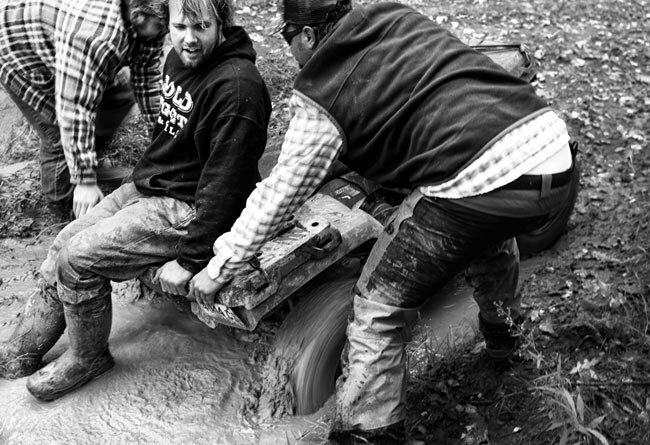 A photograph is instantly apprehensible—a musky, anything but. Catching even one takes time, luck and deep insanity. Some of the best river musky fishing lies in places you’ll never hear of, because they have no names, and there are no roads except the ones you make. Whiskey. Ketchup. Disinfectant. 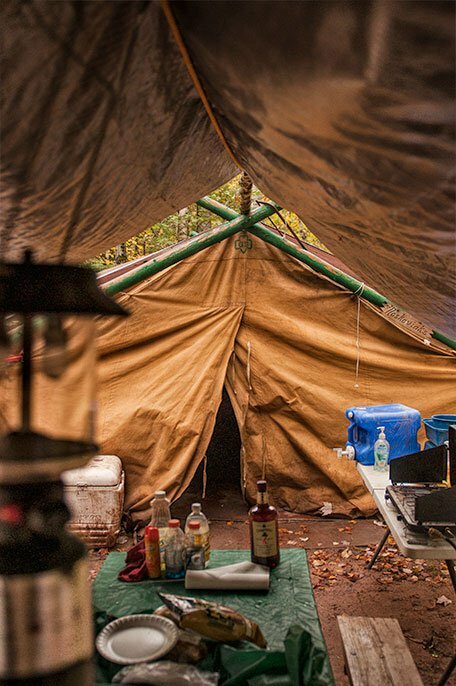 Throw in a jug of water, and you’ve got yourself a musky camp. 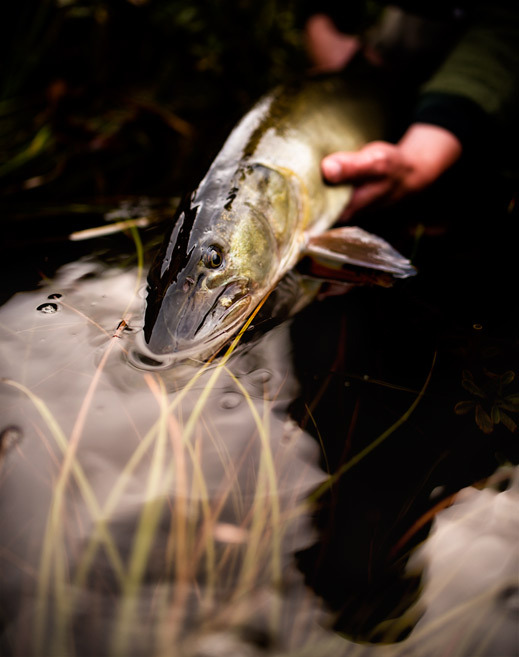 Fall is big musky time, and the short days require early launches. 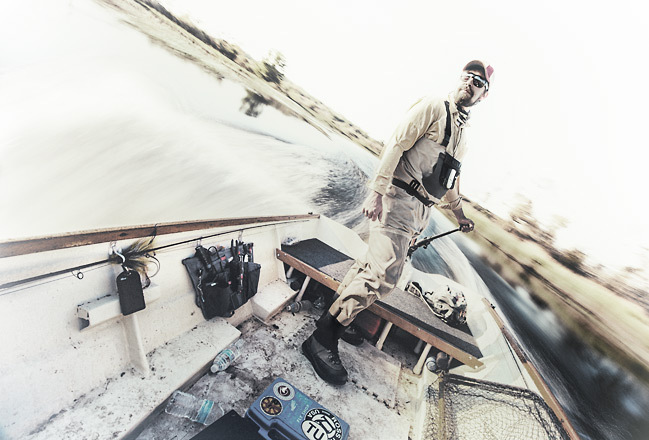 Here musky hunter Brian Bergeson of Rip Lips Musky Fly wrangles his ride into submission. He’ll cover 12 river miles by the time the day is through. Musky inhabit many types of environments, from the placid to the extreme. 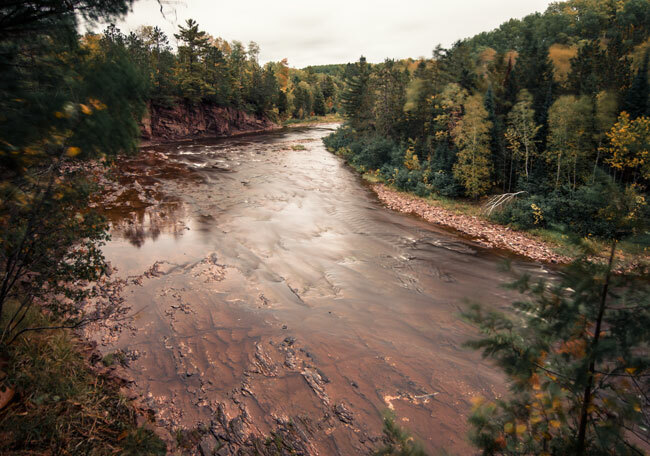 Above, a northern freestoner roars toward Lake Superior. 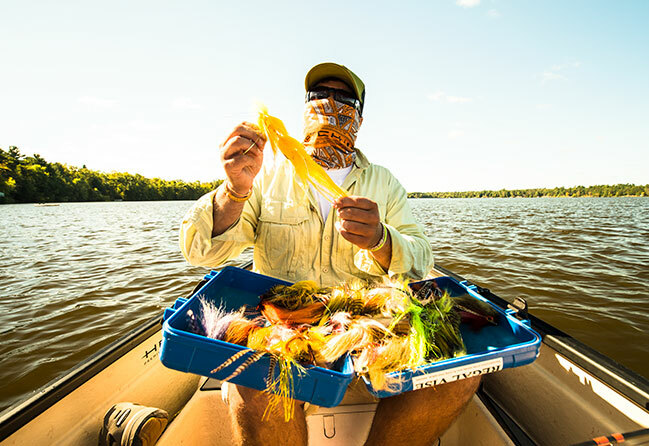 In 5 minutes, this rented cabin in northern Minnesota was transformed into a musky fly laboratory replete with bucktail, flash and five kinds of epoxy. A single articulated musky fly takes between 45 minutes to an hour and a half to tie, depending on the skill of the tier. Musky river boats come in all shapes. 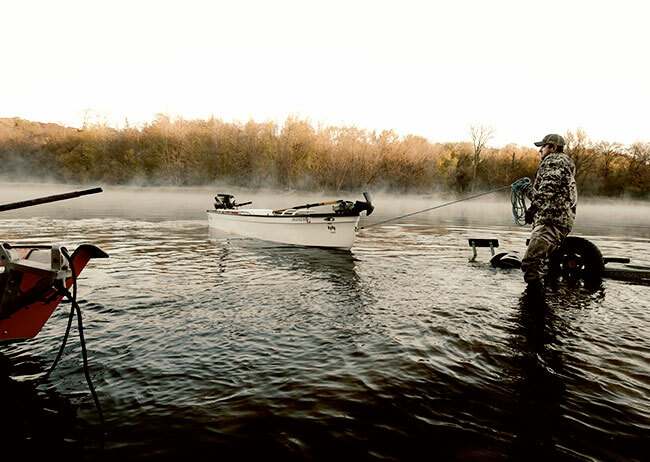 Here, Minnesota angler Tom Hazelton steers a New England-style dory refurbished to do nothing but chase Esox. Each musky fly is a wish, each musky day a grind. Veterans of the game know all too well: best to bring all your wishes. 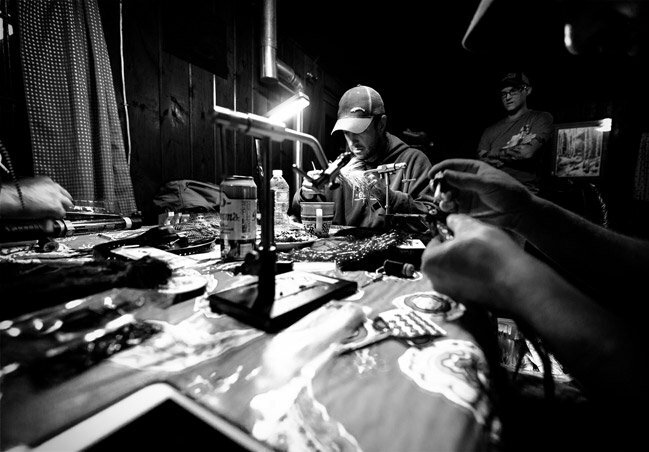 “The Figure 8 is fifty-percent of your cast,” Wisconsin musky guide Chris Willen tells his clients. It’s a truth easier to remember during the first few hundred casts of morning than the last dozen of evening. A musky’s body is a book of meals authored by its mouth. This toothy cavern is the last thing hundreds of suckers, smallmouth, perch and pike see—or don’t see—before they are added to the fish’s tale.